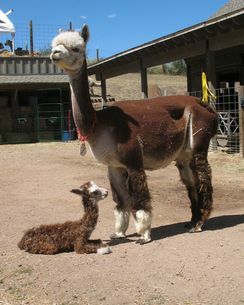 Congratulations and thank you to Dr. Kitt Hollister, of Howling Hill Farm, for her purchase of NeverSummer's Tularosa! Tularosa is an absolute jewel. Her lovely, fine, high-frequency crimped fleece is a rich mahogany roan. She has a white tuxedo and grey ears. 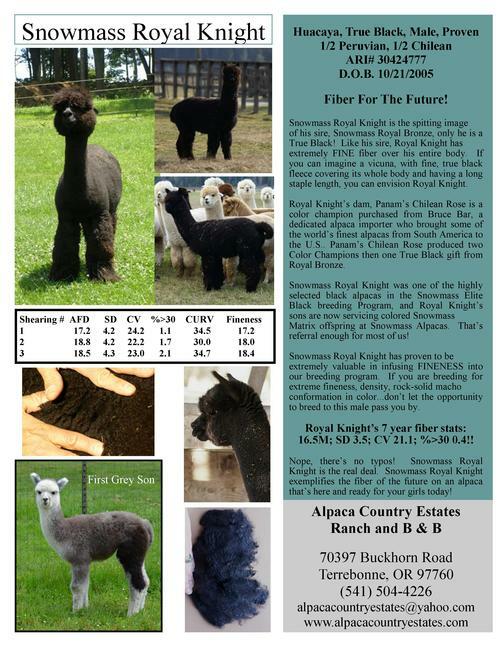 She is a full sister to Pink Floyd, an award-winning rose-grey Silver Charm son. 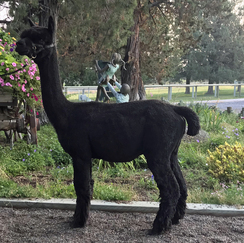 Tulrosa's dam is Peruvian Tiquina who was a producer of high quality offspring and a multiple time award winner in fleece.